Yiruma is playing. The candles are lit. The epsom salts are disolving. And…..I am hoping tonight is not the night I discover if my phone is indeed waterproof. I’m certain I am not the only one who just feels a tad overwhelmed, sometimes. Sometimes isn’t it all just too much? The balancing act: Family and friends and finances and health and work and the state of politics/humanity and thoughts on religion. Our bodies. Our thoughts. Our emotions. The more you think about, the more there is to think about. How about some of that pressure, gets removed? Be intentional. Take care of you. Read something without the glow of an electric touch screen. Listen to music without words (the older the better). Write a letter, or a journal entry. Take a barefooted walk and engage your senses. 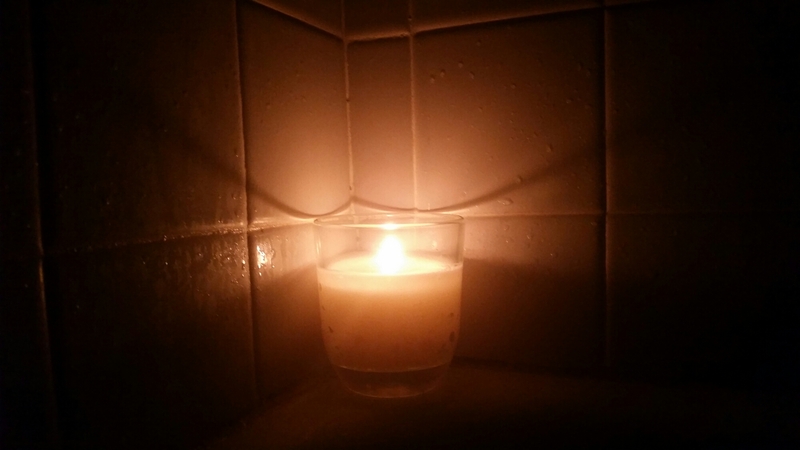 Draw a nice hot bath with epsom salts or essential oils or bubbles. I know it seems trite. Doesn’t it also seem necessary? When is the last time you truly took care of YOU?